New version of our popular Versi - Loader kit that has been updated to conform to the new NAR payload rules. Easy-to-build 18mm engine model. 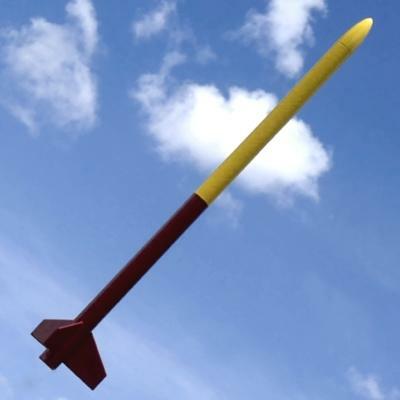 This kit features balsa nose cone and bulkhead, laser-cut balsa fins as well as a complete payload kit. 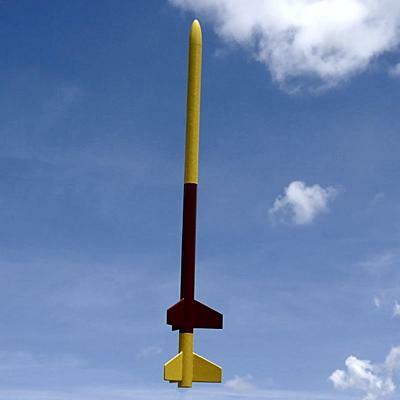 Can be flown either single-stage or two-stage. 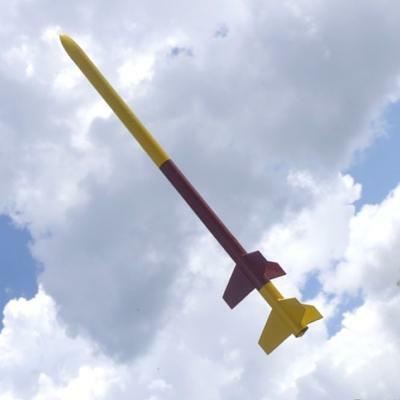 Although designed primarily as a payload model, the Versi - Loader 2 is also capable of being used as a Parachute or Streamer Duration model in the higher impulse events (B & up) as well as in Altitude events, or even just for fun as a high-flying Sport Model! Includes NAR-Style Payload. * Length and weight may vary depending on how you decide to build the model, see instructions for full details. Adhesives – a thin or medium viscosity cyanoacrylate ("CA") glue can be used for most steps and is recommended (other adhesives, such as wood glue, [i.e., Elmer's Carpenters Glue or Titebond] or epoxy can be used if you prefer and are familiar with their use, but the use of a CA glue will usually provide the lightest weight model); hobby knife with a sharp #11 blade; pencil; felt tip marker; sandpaper (medium - 220 or 280, fine - 320 or 400, & [optionally] extra fine - 500 or 600); pencil; Sanding Sealer (or other balsa filler coat); Thinner (appropriate for the type of sanding sealer used); Small Paint Brush (to apply sealer); Spray Paint (such as Rust-Oleum, Krylon, or Testors is recommended. Be sure not to mix different types or brands of paint without testing.) - primer (optional), color(s) as desired (see instructions). Recommended, but not required: sanding block; extender tip for cyanoacrylate glue; gram scale (see instructions). Optional (see instructions): accelerator for cyanoacrylate glue; material to fill body tube seams and/or any imperfections in wood parts, such as Elmer’s Carpenters Wood Filler, Interior Spackling Paste, etc. Engines (see list above); Recovery Wadding; Electronic Launch System and Launch Pad; Electronic Altimiter may be required if flying in competition.